“Happy New Year! !” That is how I think of September and the new school year. This often coincides with a strong pull to stationary stores, tidying my office, organizing my supplies, reading new books, and pulling out sweaters and warm socks. 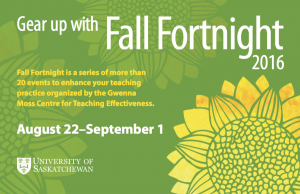 Gearing up for the Fall Term is exciting. There’s often anticipation, hope, renewed energy for trying new things and looking forward to tweaking things I tried last year. I think about taking a class. There are new “school” clothes, crisp mornings, and longer shadows when I head for home. 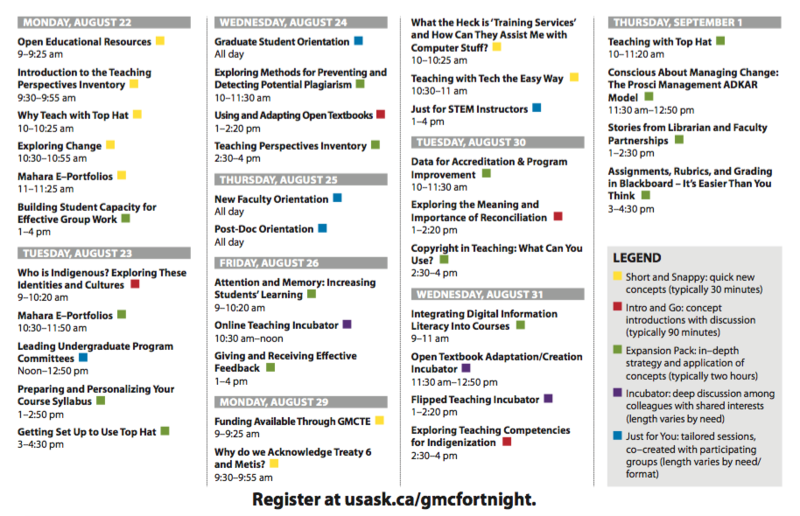 All of that is bundled together as the new term starts. I think about the new faculty, staff, and students joining the community of University of Saskatchewan in the most beautiful city in Saskatoon. And meeting new people and renewing connections with colleagues after the summer is fun. If you don’t see what you are looking for, drop us a line and let us know what you would like to see on the schedule next time around. And you can also request a tailored session—we work with you to design a session on the topic of your choice specific to your unit’s needs. 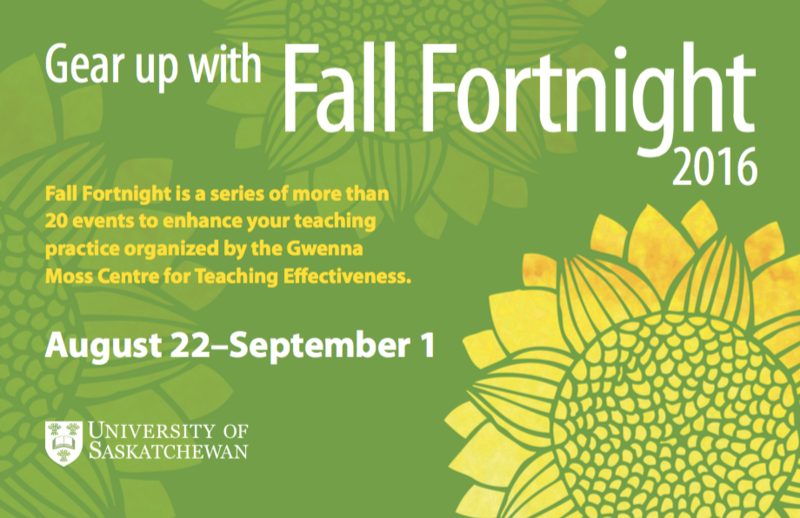 Looking forward to seeing at you at the Fall Fortnight (or in the Bowl or at a stationary store). This entry was posted in Assessment and Evaluation, Curriculum Development, Educational Technology, General, Graduate Education, Inclusivity, Indigenous Topics, Instructional / Course Design, Instructional Strategies, Open by Sheryl Mills. Bookmark the permalink.